Actually, our friends may don’t know that we have changed our phone number when we change WhatsApp number on iPhone, but WhatsApp group will get a notification about it, and they can always contact us easily with WhatsApp. Now we’ll show you how to change WhatsApp number on iPhone iPad. Now follow below steps and change your WhatsApp number on Android phone and iPhone. Step 1. Open your Android phone or iPhone, log in WhatsApp. Step 2. Then go to Setting--Account, now you can see option “Change Number”. Step 3. Now click “Next” and input your old phone number and your new phone number. Step 4. When finish it, click “Done” and verify it with a activation code. 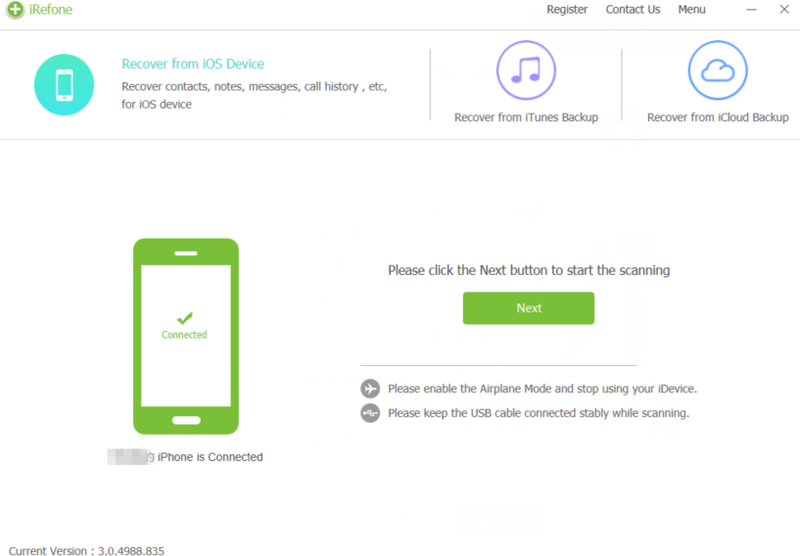 When you deleted some of your WhatsApp messages occasionally without backup, don’t worry, iRefone can help you with it. 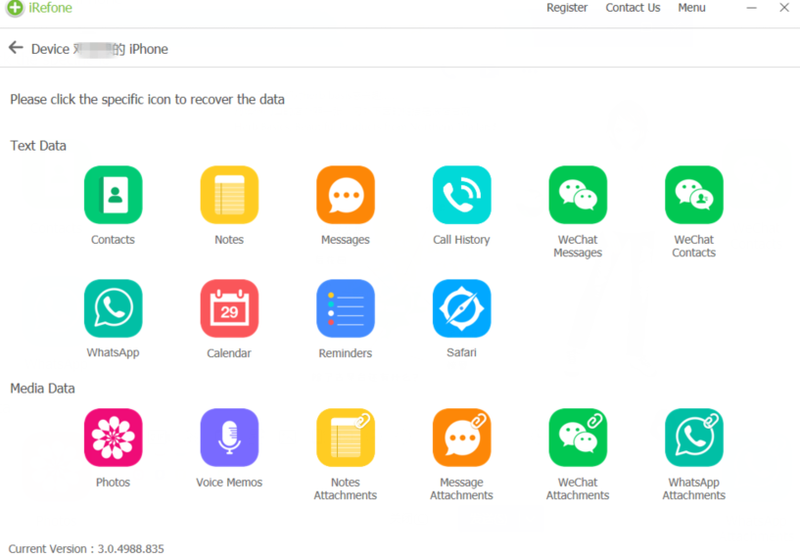 iRefone is a professional iOS data recovery software, it can help us recover as well as backup more than 16 kinds of files, including contacts, notes, messages, photos, reminders, calendars, call history, WeChat messages ect. When you have done some backups on iTunes and iCloud, it can also help us extract data from iTunes and iCloud backup selectively. Step 2. Then we’ll enter the new interface with many data icon and media icon that iRefone can recover, find and click “WhatsApp” icon, and iRefone will scan it. Step 3. When finish scanning and analyzing, you can preview and choose WhatsApp messages you need to recover, tap on “Recover to PC”.